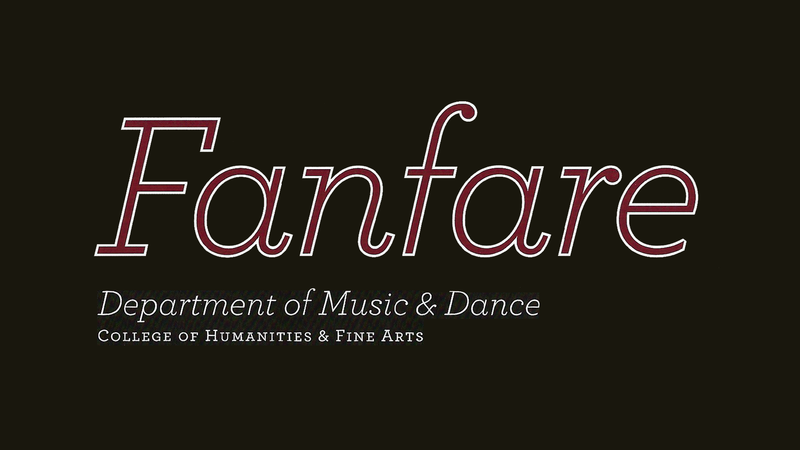 The Fall 2018 issue of Fanfare, the magazine of UMass Music & Dance, features a number of UMass band family accomplishments! Matt Garrity ’18 was one of 6 recipients of the Ornest Undergraduate Award. Matt played trombone and was a featured vocalist with the UMMB. Anna Pless ’21 received the Russell E. & Jane R. Falvey Scholarship. Anna plays tuba. Genna Weidner ’19 received the Sigma Alpha Iota Collegiate Honor Award and the Sigma Alpha Iota Scholastic Honor Award. Genna plays trumpet and serves on the Ad Staff as Uniform Manager. Yolanda Daelemans-Greaves ’85 is working part-time as a stage and production manager in dance and theater. She reports watching with pride as her daugher, Adriana, presented her senior theses, performed in the first-ever dance program at Old Chapel, and graduated this spring with a BFA degree in dance and a BS in kinesiology. Yolanda was also reelected to her third term as selectwoman in the Town of Ashland, Mass. Tubist Clif Banner ’70 is playing in the Monument Square Brass (Hollis, N.H.); the Merrimack Valley (Mass.) Philharmonic Orchestra; the Concord (Mass.) Orchestra (with which he recently performed Snarf’s theme in Bernie Hoffer’s Thundercats Suite); the Carlisle (Mass.) Chamber Orchestra; the MIT Concert Band; the American Legion Band, Post #48 (Hudson, N.H.), and the Hollis Town Band. Clif also leads Hanscom Music, an all-volunteer group that performs at Hanscom Air Force Base in Bedford, Mass. Michelle Bell (Eboch) ’11 received her master’s degree in wind-band conducting from the University of Minnesota in January 2018. After working as sports band director at St. Cloud State University, she is now assistant director of bands at Emory and Henry College in Emory, Va., working with the marching band and music department. Julie Angelis Boehler ’94, percussion, and Matthew Misener ’06 M.M., trumpet, played in a chamber orchestra accompanying Echos (one of the leading chamber choirs in the metropolitan District of Columbia) in a spirited performance of Handel’s Messiah at St. Luke Catholic Church in Mclean, Va.
Gunnery Sergeant David Jenkins ’96, USMC, is in his 14th year in the saxophone section of “The President’s Own” U.S. Marine Band, where he has performed at four presidential inaugurations and numerous national tours, concerts, and ceremonies. He has recently taken on the role of tour coordinator for the band’s annual fall tour. David writes, “A true career highlight was working with UMass faculty and staff to bring the band to campus in October 2017.” He also returned to UMass in April to perform for Professor Nadine Shank’s faculty recital. Sarah Marlowe ’02, ’06 M.M. has received the 2018 NYU Steinhardt Teaching Excellence Award. 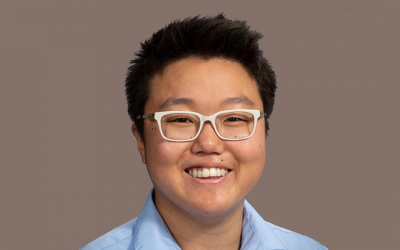 She is currently assistant professor and associate director of music theory at New York University’s Steinhardt Department of Music and Performing Arts Professions. Her most recent publications have appeared in the Journal of Music Theory Pedagogy and The Norton Guide to Teaching Music Theory. Mike Poulin ’11 is currently stationed in North Carolina as a light-armored vehicle mechanic in the U.S. Marine Corps. A hornist with a BA degree in music and a diploma in band instrument repair, he plays in the local community band, helps high school marching bands, and recently designed a one-piece rotary valve for French horns (patent pending). He plans to start his own design business and welcomes input and support from hornists or others on his new endeavor at poulinbrass@gmail.com. Paul Silver ’77 has performed with and managed a variety community wind ensembles and orchestras, including 27 years playing clarinet for Boston’s Longwood Symphony and serving for 16 years on its board of directors, part of which as chairman. Silver has performed at Symphony Hall, Tanglewood, the Hatch Memorial Shell , and Jordan Hall, among other venues. Marisa Weinstein ’83, ’89 M.M. was the 2017 recipient of the George N. Parks Leadership in Music Education Award, presented by the National Association for Music Education and Music for All. She is the longtime band, chorus, and general music teacher at Warsaw Middle School in Pittsfield, Maine. Marisa was named 2013 Educator of the Year by the Maine Music Educators Association, has served four terms as its district chairperson, and continues to actively perform, adjudicate, and guest-conduct. Thomas P. Hannum ’84 M.M. was a recipient of a 2018 Lowell Mason Award, given for outstanding leadership in music education by the Massachusetts Music Educators Association. 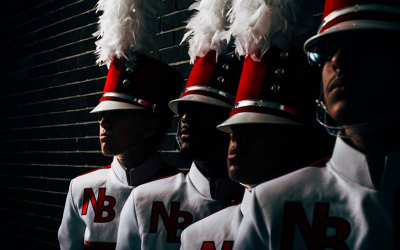 One of the nation’s foremost percussion arrangers, Hannum is renowned for directing the Minuteman Marching Band percussion section, including its performance at the 129th Tournament of Roses Parade in Pasadena, Calif., on January 1, 2018. This fall, Christine McHugh Sirard ’90 officially joins the Department as assistant director of the UMass Marching Band and visual coordinator of the color guard, positions that she has held in temporary capacity since 2015. As a UMass student, Chris joined the UMMB in 1988, was color guard captain in 1989, and graduated in 1990 with a degree in communications. She taught the color guard at the University of South Carolina, where she earned bachelor’s and maser’s degrees in music education with a concentration in early childhood music development.She has taught early childhood music in California and Minnesota and elementary general music classes in Virginia and Massachusetts. She moved back to Amherst in 2013 and soon thereafter happily resumed working with the UMass color guard. She lives in Amherst with her family and teaches early childhood music classes in the area.